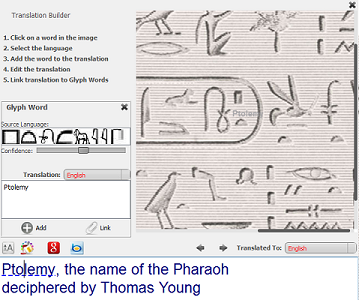 GlyphViewer contains 800+ Egyptian Hieroglyph symbols in Gardiner's notation and over 10,000 ancient words and phrases. 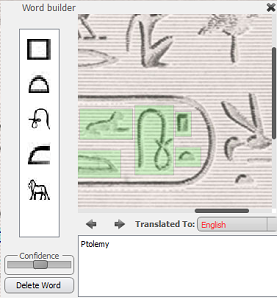 Think of GlyphViewer as a modern version of Rosetta Stone, where the content is added by you. 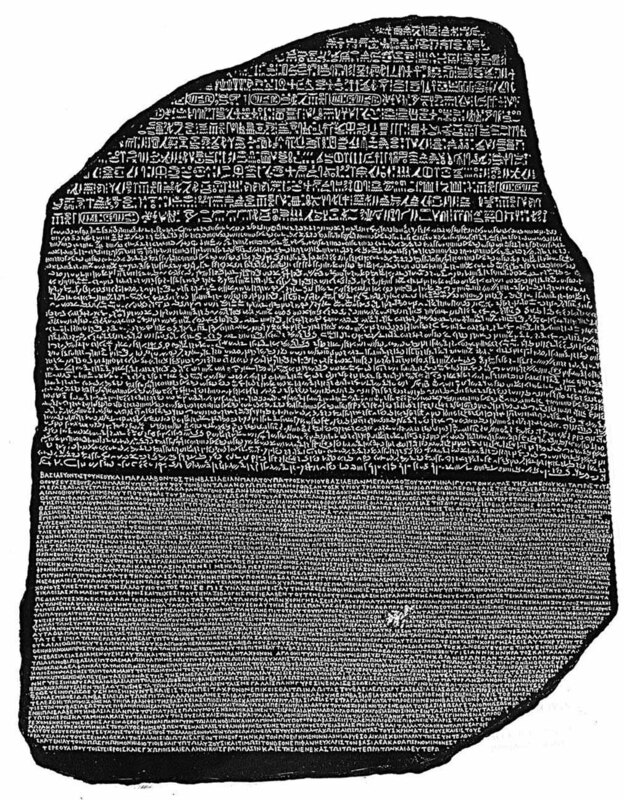 You may notice our translation of Ptolemy name in an image of Rosetta Stone as first discovered by Thomas Young. Reconize Hieroglyphs and assign language symbols to them. Automatically translate symbols using our technology. Build translations in multiple modern languages and export them to HTML. A glyph is a region in an image that can be assigned to one or more symbols. 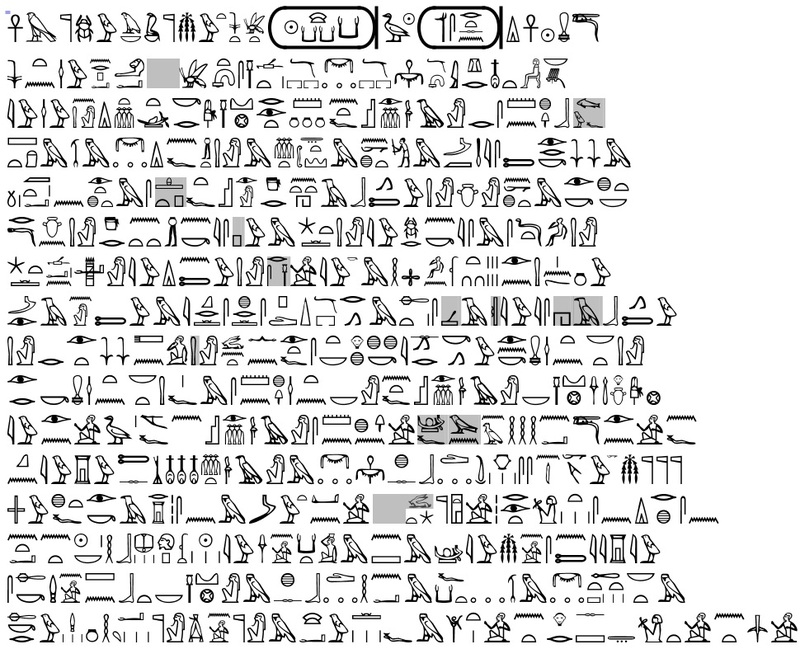 You can either construct them manually or use GlyphViewer's OCR technology for Ancient Egyptian Hieroglyph. Multiple selection methods for glyphs. 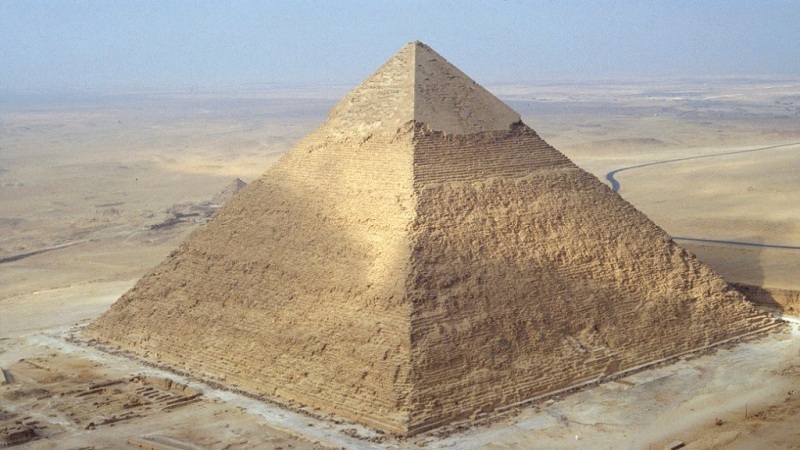 OCR technology for recognizing Egyptian Hieroglyphs. Manipulate glyphs in images to build words and translations. GlyphViewer helps you assign glyphs in your image to different content. You may assign multiple Ancient Egyptian Hieroglyphs symbols to a glyph, expecially usefull when unsure. 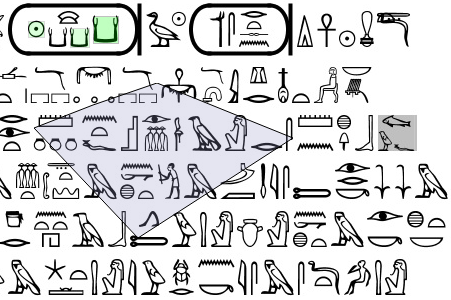 Full hieroglyph database with over 800 symbols. 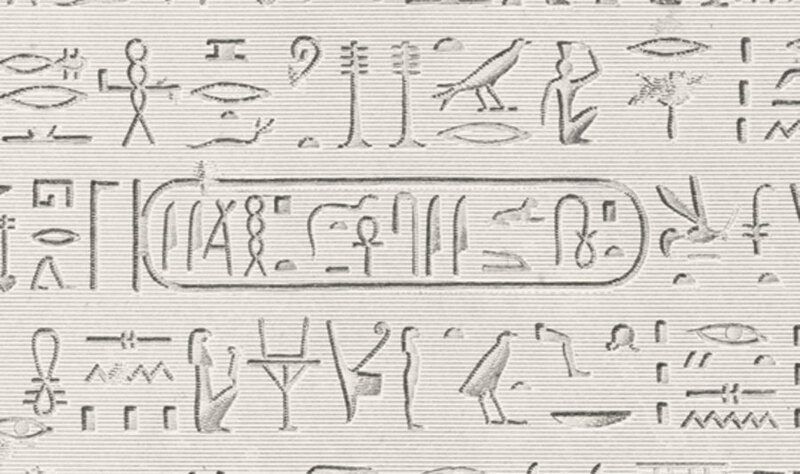 Gardiner's sign list used for hieroglyphs. Manipulate confidence level for each assigned symbol. 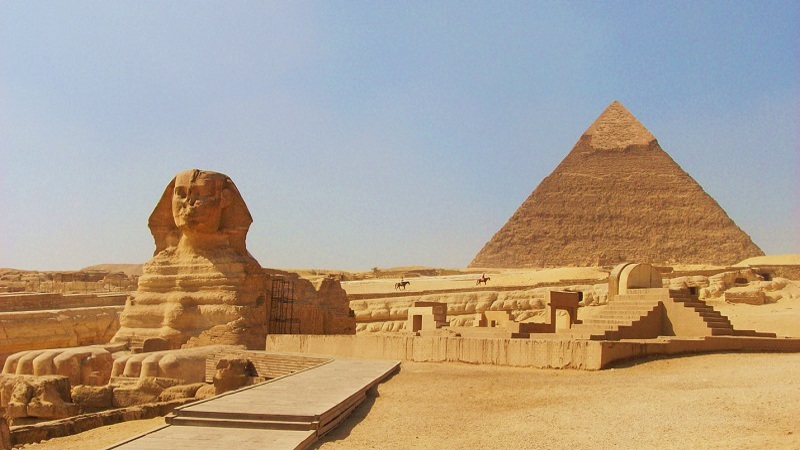 GlyphViewer is the first application in the world that helps you automatically translate Ancient Egyptian Hieroglyphs. 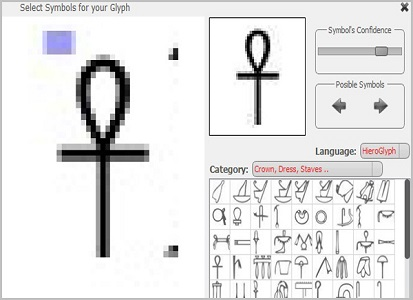 Just select glyphs in the image with assigned Egyptian symbols and use our technology to automatically create words. Or just build them manually by asigning glyphs to words. 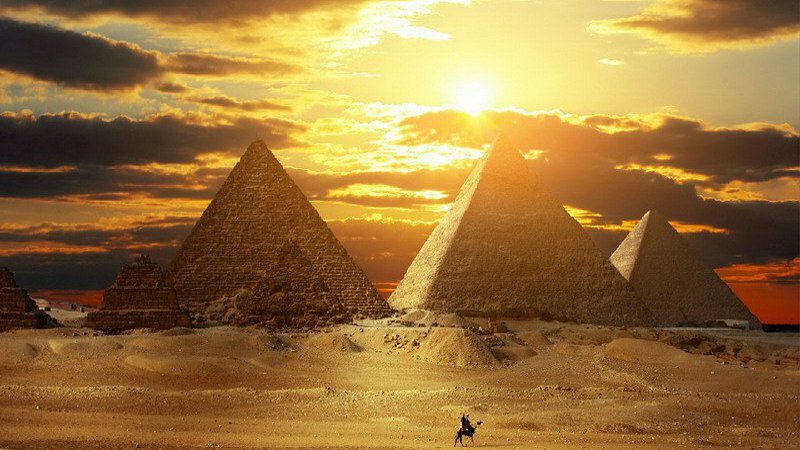 10,000+ Egyptian Hieroglyphs words and phrases to discover. Build words from symbols and translate the content in multiple modern languages. Manipulate the egyptian symbols in each word. 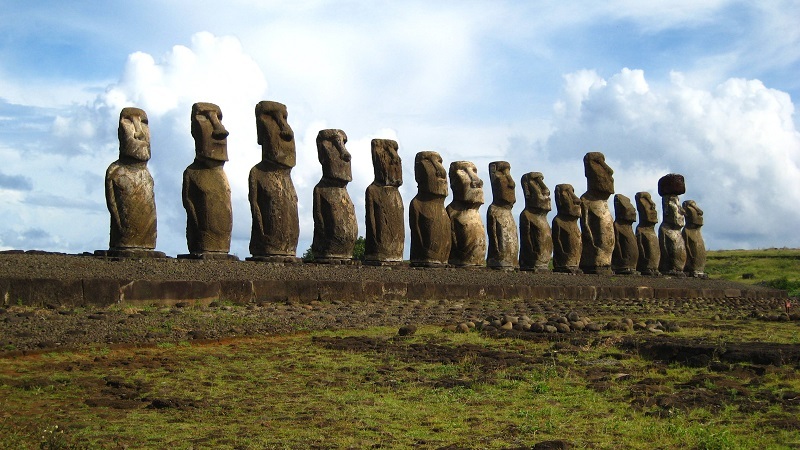 GlyphViewer helps researchers to build translations from ancient texts. Once you created your words and phrases it's time to actually merge them into a full translation. Link them to your translated data in over 80 modern languages. Link glyph and words to your new modern language translation. 80+ modern languages to choose from. Use integrated machine translators for more languages. 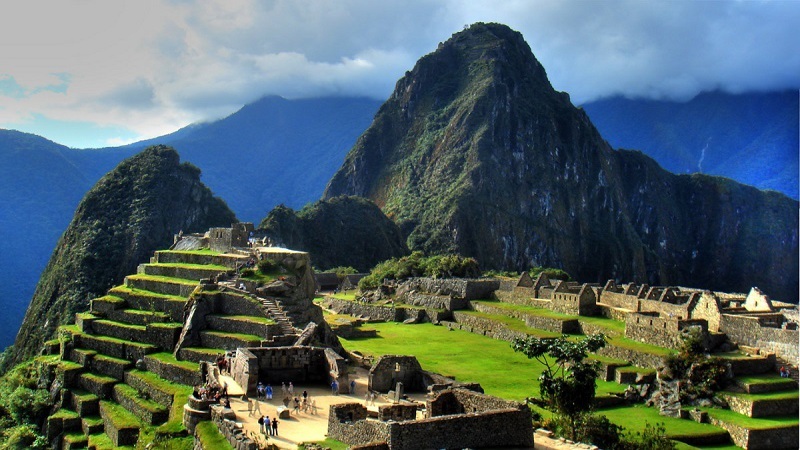 Export your translations and discovered ancient content to different formats. HTML SEO format included.